Every Polish citizen has the right to obtain a passport. Deprivation or limitation of this right may take place only in cases provided for in the act. The passport document entitles to cross the border and stay abroad, it also certifies Polish citizenship, as well as the identity of the person indicated in it, as regards the data that such document contains. Within their validity period, passport documents are the property of the Republic of Poland. A passport document is issued at the request of an adult after submitting the required documents, collection of biometric data and paying the due fee. Diplomatic passports and service passports of the Ministry of Foreign Affairs are issued free of charge. Temporary passports do not include biometric data. an application for issuing a passport document for a legally incapacitated person who is completely under parental authority shall be submitted by the parents, and for such person not placed under parental authority, it shall be made by a guardian appointed by the court. When applying for the issuance of a passport document, the presence of a minor who is over 5 years old and a completely incapacitated person is required. When submitting an application for issuing a diplomatic passport or a professional passport of the Ministry of Foreign Affairs, the presence of a minor and a completely incapacitated person is required. In justified cases, when there is no Polish consular office or the conditions make it impossible or significantly hinder the personal application for issuing a temporary passport at the consular office, at the request of the person applying for the issuance of a temporary passport, the consul may waive the requirement of personal application and personal receipt of this document. A written consent of both parents, whose signatures are confirmed by the passport authority or the notary, is required to issue a passport document to a minor, unless the parent was deprived of parental authority on the basis of a court decision or the authority was limited. In the case of non-compliance of parents' positions or inability to obtain the consent of one of them, the consent to issue a passport document is replaced by the decision of the family court. If obtaining the consent of one of the parents is impossible or significantly hindered, a passport document abroad may be issued with the consent of only one of the parents, if it is justified by the minor's best interest. 3. If a minor is staying abroad without parental care, a provisional passport may be issued without their consent. The passport document is collected personally, except for the minor and incapacitated person, for whom the receipt of the passport document can be made by one of the parents or guardians appointed by the court. In justified cases, especially in conditions of particularly difficult access to the consular office, at the request of the person applying for the issue of a passport document, the consul may waive the requirement to collect the passport document personally. In this case, the provision of Art. 16 are not applicable. The person collecting the passport document checks with an electronic reader whether the personal and biometric data included in the document are consistent with the actual state. a body conducting preparatory proceedings, a body of enforcement proceedings in a criminal case, including a tax offense, against a person applying for issuing a passport document. In cases justified by an important interest of the person applying for a passport document, despite the existence of reasons justifying the refusal to issue it, the consul may issue a temporary passport. The consul informs the issuing authority of issuing such a passport. The passport documents issued to minors who are under the age of 13 do not include the signature of the holder. Passports issued to persons over 13 years of age do not include the signature of the holder if they can not sign it by themselves because of disability. In passport documents issued to persons from whom fingerprinting is physically impossible, there is no fingerprint image. In the event of a change or need to rectify the data contained in the passport document, a person possessing a valid passport document is obliged to request its replacement immediately, but no later than within 30 days from the date of delivery of the final administrative decision or final court decision confirming the change or preparing a marriage certificate stating change of surname, and in the case of a marriage concluded before a consul or a foreign body - from the date of delivery of a copy of the marriage certificate. In the case of Polish citizens staying abroad, the term is 90 days. - after making the circumstances probable, the same person can be issued a second passport, with the validity period being 2 years from the date of its issue. persons residing in the Republic of Poland and abroad, in documented emergency cases related to the illness or funeral of a family member. It is allowed to issue a temporary passport ex officio to persons staying abroad who do not have a passport document, if there are important circumstances. a Polish citizen permanently residing in a consular district, who was not assigned a PESEL number by the time he applied for a passport. In the diplomatic passport, in addition to the data as in a regular passport, there is an additional diplomatic rank, function, position or title of the passport holder. President and vice-presidents of the Supreme Administrative Court. Diplomatic passports are also received by spouses of these people, if they accompany them on a business trip outside the country. as a result of referral to work in international organizations. A diplomatic passport is granted to family members of these persons if they stay with them in the community and settle with them abroad. Family members of those persons who do not move abroad are entitled to receive a diplomatic passport to visit these people. Those entitled to receive a diplomatic passport are also former Presidents of the Republic of Poland, former Prime Ministers and former Ministers of Foreign Affairs who were appointed to perform these functions, starting from August 24, 1989. A diplomatic passport can be presented only during a business trip or in connection with the performance of official activities outside the country. In cases justified by the needs of the foreign service and the security of the state, the same person may be issued a second diplomatic or service passport of the Ministry of Foreign Affairs. In cases justified by the need to protect the interests of the Republic of Poland abroad, the minister competent for foreign affairs may decide to issue a diplomatic passport to other Polish citizens. The service passport of the Ministry of Foreign Affairs is vested in members of the foreign service who do not have a diplomatic rank and other persons assigned to perform official duties in a foreign post. The service passport of the Ministry of Foreign Affairs is vested in family members of these persons if they stay with them in the community and resettle with them abroad. Family members of these persons who do not move abroad are entitled to receive a professional passport of the Ministry of Foreign Affairs in order to visit these people. The official passport of the Ministry of Foreign Affairs can be presented only during a business trip or in connection with the performance of official activities outside the country. In cases justified by the needs of foreign service and considerations security of the state to the same person can be issued the second diplomatic or service passport of the Ministry of Foreign Affairs. In cases justified by the need to protect the interests of the Republic of Poland abroad, the minister competent for foreign affairs may decide on issuing the professional passport of the Ministry of Foreign Affairs also to other Polish citizens. The passport is valid for a period of 10 years from the date of its issue. Passport issued to a minor who is under the age of 13 is valid for 5 years from the date of its issue. The temporary passport is valid for the period indicated therein, but no longer than for 12 months from the date of its issuance. The diplomatic passport and the service passport of the Ministry of Foreign Affairs are valid for the period indicated therein, except that their period of validity may not exceed 10 years from the date of their issuance. The loss of validity of a passport document does not deprive its holder of entry rights on the basis of this document on the territory of the Republic of Poland. The person who lost the passport document or whose passport document has been destroyed is obliged to immediately notify the passport authority which issued the document or the passport authority competent for the place of stay of that person. The found passport document is not refundable to the person to whom it was previously issued. A person who has found a passport document of another person is obliged to hand over this document to the nearest passport authority, the Police or other public administration body. These authorities shall transmit the document to the passport authority which issued it. If the person has found his own passport document previously reported as lost, he is obliged to return it to the local passport authority. The obligation to return a passport document is regardless of whether the person already has a new document issued in place of the lost, or whether he did not apply for a new document. after 60 days from the date of delivery of the final administrative decision or final court decision stating the change of data or the marriage certificate stating the change of surname, and in the case of marriage concluded before the consulate or foreign body - from the date of delivery of a copy of the marriage certificate. the limit is 4 months. At the request of the court conducting the proceedings in the case for the exercise of parental authority, the passport document of the minor is revoked, in relation to which a decision on the exercise of parental authority is to be issued. Cancellation and refusal to issue a passport document is made by way of an administrative decision. Filing an appeal against the decision to annul this document does not suspend its implementation. The person against whom the decision on cancellation of the passport document has been issued is obliged to return it to the passport authority. A person reporting a death or another person holding a passport document of a deceased person is obliged to return this document to the head of the registry office, competent to draw up a death certificate or passport control. If a decision on cancellation of a passport is issued, the passport fee will be refunded for each full year covered by cancellation of the passport. - part of the fee in force on the date of the decision in this case. The amount of the refundable fee may also be set in the decision on cancellation of the passport. The minister competent for internal affairs is the competent authority for the provision of passport records, preparation of passports and at the request of the minister competent for foreign affairs, preparation of diplomatic passports and official passports of the Ministry of Foreign Affairs. The consul and voivode are competent authorities in the matter of preparing temporary passports. Costs related to issuing passport documents by passport authorities are financed from the state budget from the part of which the minister competent for internal affairs and voivods is responsible, each in the scope of his activity. Costs related to issuing passport documents by consuls and diplomatic passports and official passports of the Ministry of Foreign Affairs are financed from the state budget from the part of which the minister competent for foreign affairs administers. The minister competent for internal affairs shall supervise the handling of cases concerning passports and temporary passports. The minister competent for foreign affairs shall supervise the conduct of matters related to diplomatic passports and official passports of the Ministry of Foreign Affairs. The minister competent for internal affairs is a higher-level body within the meaning of the provisions of the Code of Administrative Procedure in relation to voivods and consuls, to the extent specified in the Act, regarding passports and temporary passports. 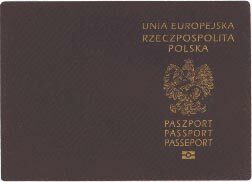 Passports and temporary passports in the Republic of Poland are issued, refused and invalidated by the voivode competent for the place of permanent residence of the person applying for the passport document, and in the absence of such a place - according to the last permanent residence of that person and abroad - consul. Persons residing in the Republic of Poland against whom it is not possible to determine the local jurisdiction referred to in paragraph 1, passports and temporary passports issues, refuses to issue them and annuls the voivode competent for the place of stay of this person. The provisional passport is issued by the voivode in the Republic of Poland, and abroad - the consul - competent for the temporary residence of that person. In justified cases, when there is an important interest of the state, the passport may be issued by the minister competent for internal affairs. Diplomatic passports and official passports of the Ministry of Foreign Affairs issues, refuses to issue them and annuls the minister competent for foreign affairs. Diplomatic passports and service passports of the Ministry of Foreign Affairs may, with the consent of the minister competent for foreign affairs, be annulled abroad by the consul. In justified cases, at the request of the minister competent for foreign affairs, submitting an application for issuing a diplomatic passport or a professional passport of the Ministry of Foreign Affairs, collecting a diplomatic passport or a professional passport of the Ministry of Foreign Affairs and making an additional entry in a diplomatic passport may take place at the consular office. A fee of PLN 140 is charged for issuing a passport. A fee of PLN 280 is charged for issuing the second passport. For the issuance of passports to minors who on the day of submitting the application are under the age of 13, a fee of PLN 60 is charged. A fee of PLN 30 is charged for issuing a temporary passport. The fee shall be paid to the competent authority of the passport authority or to the bank account of this body, incurring the related costs. minors until the statutory compulsory education obligation is fulfilled, students and students. soldiers designated for service outside the state, with the exception of professional soldiers. the lack of space in the previously held passport for placing visas or stamps confirming the crossing of the border. The fee is determined by deducting from the fee valid on the day of submitting the application for a new passport one-tenth part of the fee for each full year remaining until the passport expires - in the case of a passport with a validity of 10 years or one fifth - in the case of issuing a passport with the expiration date 5 years. The fee for issuing a new passport before the expiry date of the previously held passport is increased by 200% in relation to the fee for issuing the passport valid for the applicant on the day of submitting the application for a new passport, if the passport was lost or damaged for reasons attributable to its holder. For passports and temporary passports issued by the Consul, a fee is charged in the amount specified in the regulations issued on the basis of the Act of 13 February 1984 on the functions of consuls of the Republic of Poland. Copyright 2007 - 2019 © Law Office of Piotr Staczek, Advocate - All Rights Reserved.